It's a perfect autumn day when I meet Lyn Bowtell and Luke O'Shea out at Cabarlah. The ground surrounding the hall is still mushy from recent rain, and I have to step carefully as I go to greet the duo as they step out of the car. A genuine smile lights up Lyn's face as she shakes my hand warmly and introduces herself, saying Luke will be out of the car in a moment. Vivaciousness seems to radiate from her, from the dimples that form as she grins to her sparkling eyes. When Luke steps forward to greet me, I am struck by how warm and genuine he is as well. The three of us fall into easy conversation as we find a place to sit, Lyn remarking that there's something special about community halls and performing in them. 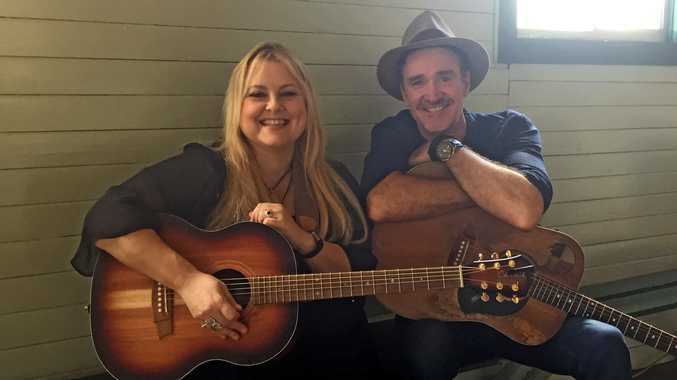 The duo have known each other for almost 20 years and have toured together before, going as far as Cairns as well as Proserpine, Airlie Beach, Yeppoon and Townville in North Queensland. "That was in 2014, I think," Lyn says. "And then everyone's got their own agendas and tours, projects, collaborations, but the planets just aligned for this one," Luke explains. It's important for both Luke and Lyn that their performances together show a balance in the music. "[The show] is a combination of both our separate sets," Luke says. "Lyn's got about four, five albums of her own; I've got about eight of my own, so what we've found challenging is actually combining our two sets and making sure you cover each other's light and darkness - you get that balance," he says. "That's the ebb and the flow of a crafted show. You mix light and dark, happy with sad, joyful, meaningful. "It's been a real challenge, actually, to find that safe common ground where we feel the show flows beautifully, but we've got it." "We've got a few duets as well, which is lovely; I really enjoy doing that," she says. "Luke's got a new album he's working on, and we're hoping that maybe one of them that we've been doing will get on the record." Both singer-songwriters have had a passion for music since they were relatively young. "For me, it was basically about where I could sing when I was 12," Lyn reminisces. 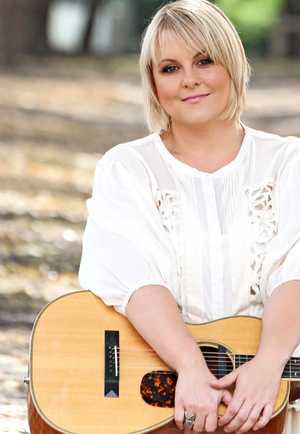 "When you're that young and you show an interest in music and playing guitar and singing and writing songs, country clubs were the way to go, so I used to go to the Toowoomba country music club and the Dalby country music club when I was a kid and that's kind of where it all happened - and Mum and Dad's record collection," she says. "But, it's the friendships that keep me involved in it, really. The music's amazing, but I think that country music has a very beautiful family. "Like in country music you can call on your mates and do some tours together, which is pretty rare in the rock industry and stuff, and in blues as well." Luke says his journey into country music was a longer one than Lyn's. "I was just a mad traveller, so I used to do a lot of busking around the place and I just loved the storytellers, so I was naturally drawn to the country and folk artists... and where people love the lyric, which is within the country music genre.," he explains. "I spent a little bit of time within the rock industry as well, and leaving that ego-driven genre behind with all the bands that didn't get on and pretty aggressive egos, to a very embracing and warm country music community which, as Lyn mentioned before, is like a beautiful dysfunctional family." "I would definitely say dysfunctional; there is definitely dysfunction there," she chuckles. "But, we all love each other, like with me and Luke - we're like brother and sister," Lyn adds before the duo start swapping good-natured insults. It's clear the pair have fun while touring together, and they remember one particular interesting incident during their last tour about five or six years ago. "We've learnt not to tour North Queensland in April [cyclone season]" Luke laughs. "Our first gig, only 11 people came because the rest of the town couldn't get through," Lyn recalls. "It was cut off, and the way we got in there was a miracle," Luke adds. "Cars floating past us, all that stuff," he says. "It was pretty full-on," Lyn adds. "Big bales of hay - you know the big round bales - and we were like 'oh, I'm sure it's safe'," she chuckles. "I just remember watching the caravan go through; Luke and Michael [Bryers] are in one car and Damon and I are in the other, and he had this lovely big caravan. "And we were going 'are you going to go through that?' and they were going 'yeah, it'll be fine! ', so their car goes through fine but as I'm watching the water went over the rim of the tyre and it kept going and I'm just like 'oh my gosh'," Lyn says. "My fridge has never really forgiven me," Luke adds. The music makes things like this worth it though. "Music, I learnt the hard way, is my energy source," Lyn explains. "It's very healing and is just an extension of who I am, so if I stop doing it, part of me is not living. "I've written songs on airplanes, on sickbags because I had nothing else to write on - they just strike like that." "Inspiration can strike anywhere; there's no rules with song- writing," he says. "Music is life; it's a soundtrack to life. "There's no faster way of connecting with another human being on this planet." It's not the first time either of them have been to Toowoomba - Lyn moved from here in 2000 but returns "home" frequently, and Luke has spent a lot of time in the Garden City over the years. 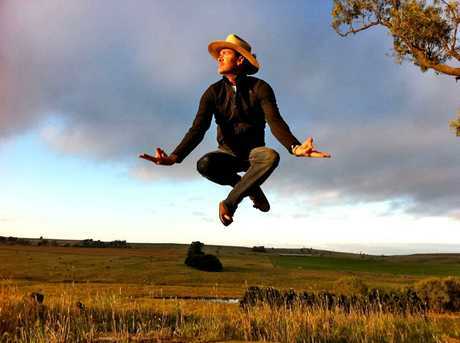 "It's always great, but I've only almost frozen to death twice in my life; once was in Gympie and the other one was in Toowoomba - both in Queensland 'cos you just go 'oh it's Queensland, she'll be right, I'll just put in a t-shirt'," Luke says. Luke is quite fond of the city, however, and is always happy to make a stop at the "gateway to Queensland" when travelling. "Toowoomba is always like the focal point of Queensland when you're touring, and there's always been such a warm crowd in Toowoomba," he says. For Lyn, it's about coming home. "I like the trees, but my favourite part about Toowoomba is coming home to my mum's place," she says. 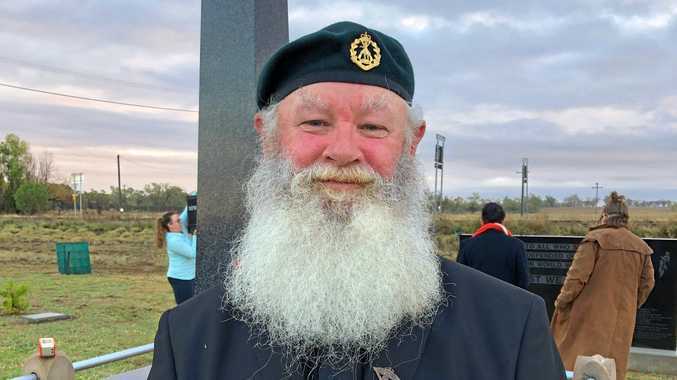 "I also just love the nature of people in Toowoomba - they're all very down-to-earth and I feel at home here."